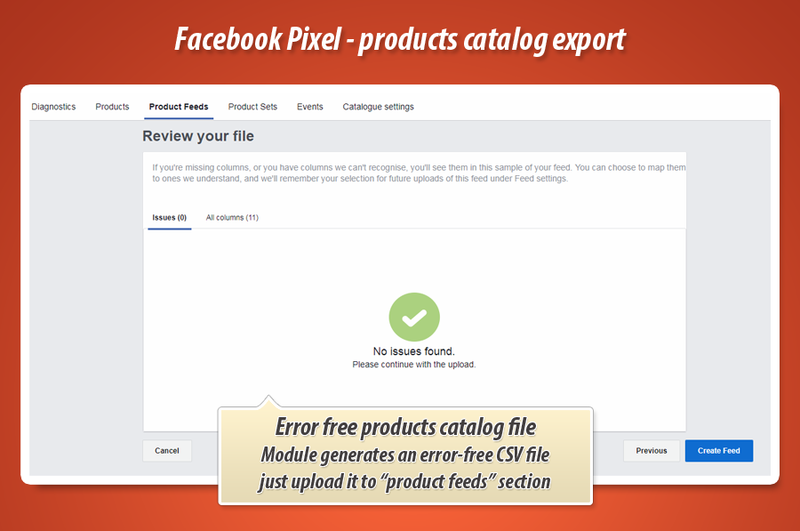 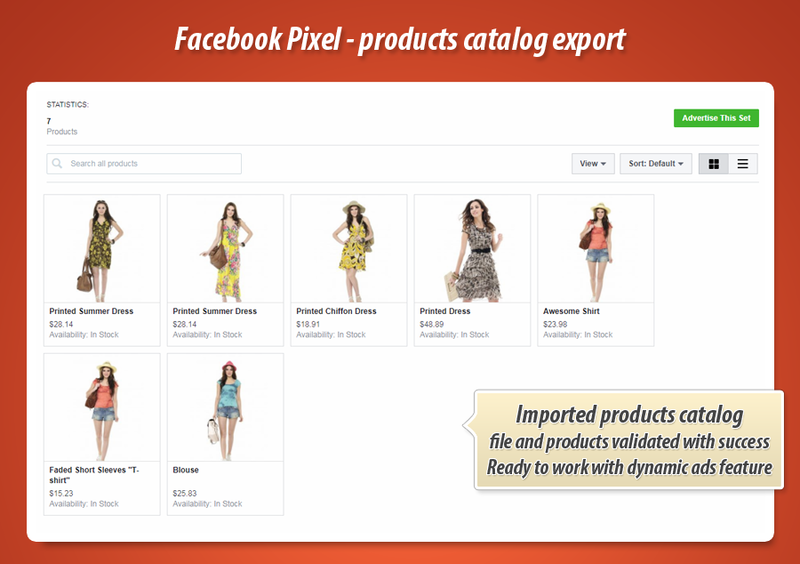 This module creates a products catalog feed that is ready to work with facebook dynamic ads import catalog tool. 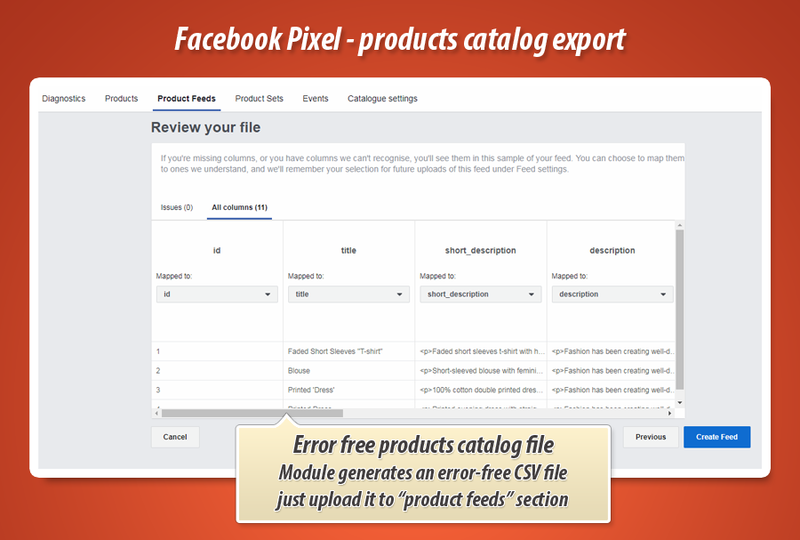 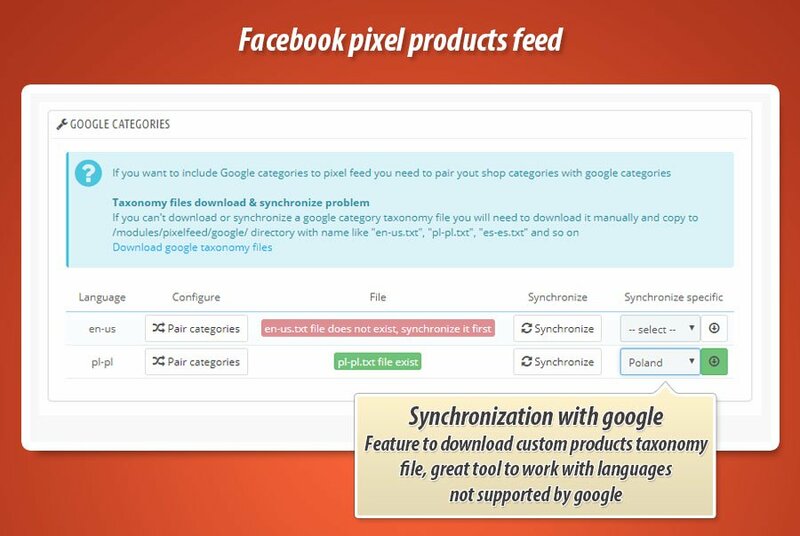 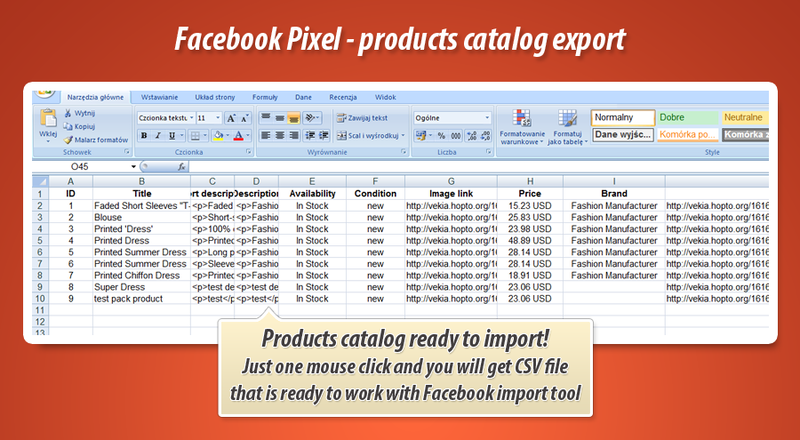 Module allows to create .csv file with all products (and also products' combinations) that is fully compatible with facebook products catalog import tool.Just export products and import them to your ads account - an easiest way to to serve dynamic ads! 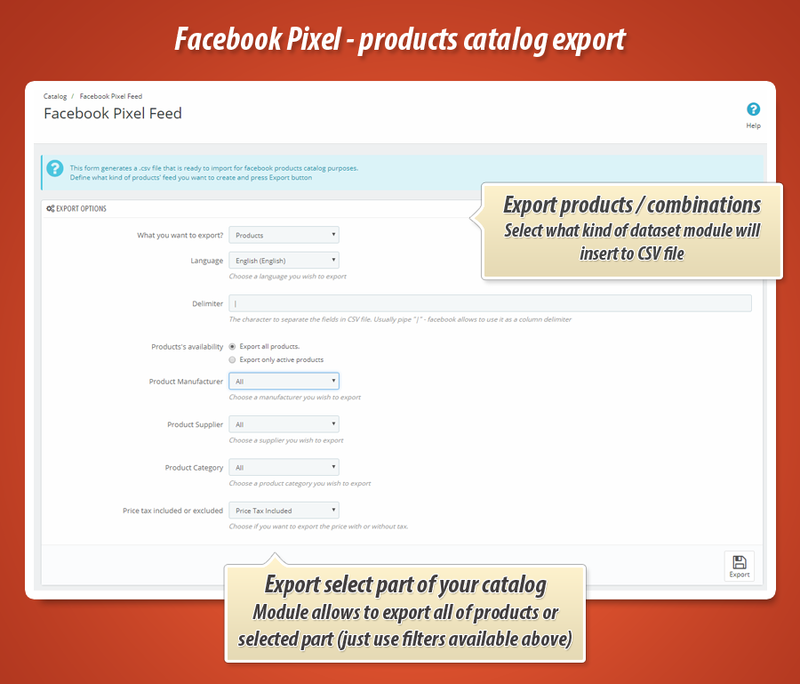 Module creates new menu item unders "catalog" section. 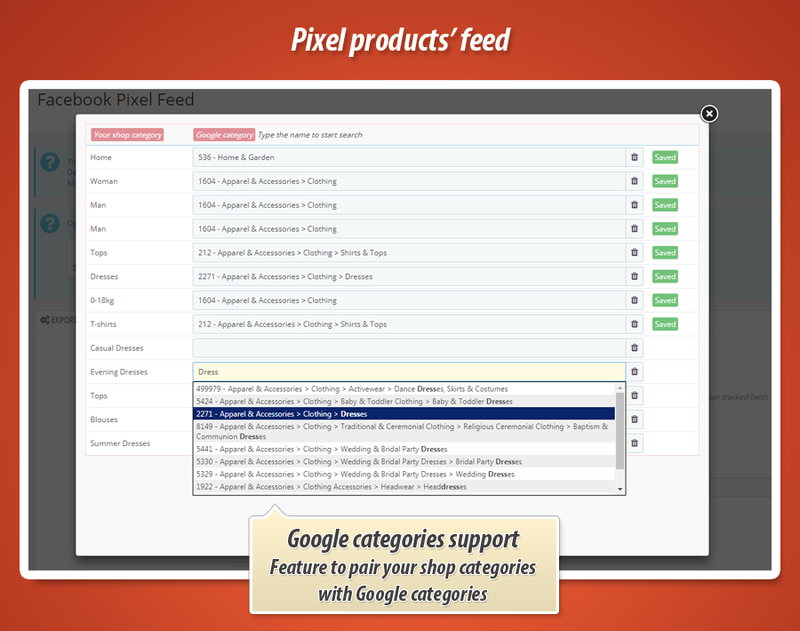 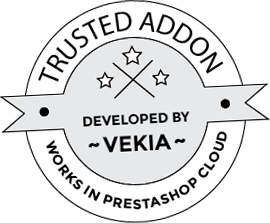 There you can create products' catalog feed. 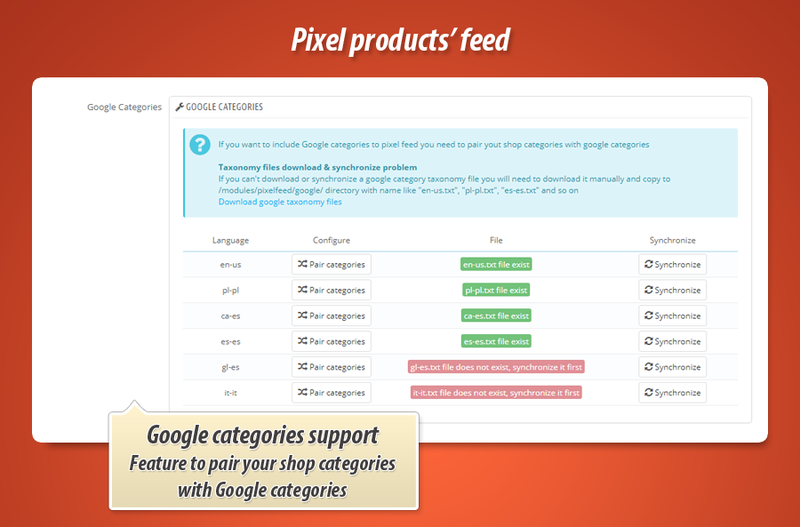 - possibility to define what field will be used for "description"
- possibility to define what field will be used for "short description"
- added feature to display details about categories tree that allows to better identify the categories (feature to pair shop's catalog categories with 'googe shopping' categories.